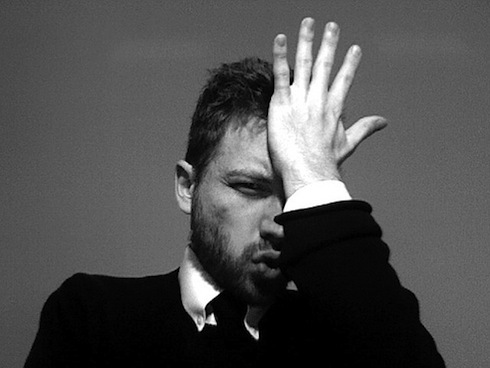 The Worst Presentation Mistakes: Part One - Peter Levitan & Co. This expert list is one of the last chapters in the book. I consider it a coda to my detailed advice on how to nail a presentation. In this case, I wanted to see what people who have listened to thousands of hours of sales presentations from what should be the best presenters in business (advertising agency executives) had to say about mistakes that occur all too often. The list, the agency search consultants observations and thoughts are both instructive and surprising to anyone delivering a business presentation. I think that the learning here is applicable to a very wide range of businesses… and individuals as we are ‘selling’ all day long. These opinions come from consultants that have sat through thousands of agency pitches. After reading their comments, imagine the eye rolling that they must do when many of us are presenting our truly brilliant ideas and work. Again, my goal is to point out what not to do. Hidden between the lines of these answers is what to do to help you win. To present, the people in the pitch should have the best presentation skills throughout the agency. Presenters should be able to answer any client questions without the help of colleagues. If you want to win the pitch, it is better that the presentation is conducted by the GM of the advertising agency. One of the biggest mistakes during the pitch is that the agency offers services that they can’t knowingly perform. I mean that the agency, during the tender, promises to customers something that they obviously can’t deliver (they are bluffing). This behavior has a very negative impact on the reputation of the agency. Talking at the client prospect rather than engaging them in the pitch experience. This has run the gamut from going around the table and introducing themselves, yet totally skipping the client attendees, to droning on about how great their case studies are, but never connecting the dots back to this client’s business. Ten minutes of agency droning on about anything other than the client’s business feels like an eternity to the client. Get to points quickly, connect everything back to client’s business, and get the client talking too. And don’t forget to read the room – if you’re savvy, you can tell when you’re losing them. Cramming everything into the final pitch presentation. We work with clients to keep the assignments focused, but there are always other basic details that are best highlighted in a graphic or left for the pitch book. So agencies cram a lot of content in and rehearse it to death to determine how much faster they need to talk, rather than what can go in the pitch book. And they seem to overlook how to draw the clients into the process. Clients love info-graphics, and it’s a great way to communicate and crystalize a lot of complex content – don’t know why more agencies don’t do this or something more visual more often. Virtually every agency goes on for far too long about itself and its team. Cut to the chase. Talk about how the brief has been solved, and get to the answer quickly. The clients will thank you for it, and they will decide if they want to work with you based on how they FEEL about you, not what you tell them about yourselves. The worst presentation mistake that agencies make is to focus on the wrong things. Agencies should focus on the core business issues as defined by the prospect. Business Issues can be core strategic items like revenue, market share, profitability, growth, penetration, loyalty, etc. Business Issues are rarely tactical – tactics are part of a solution. Tactics, without a Business Issue foundation, are a cost center. No one wants to increase their costs. No one, in fact, wants to “buy” advertising, or media, or digital, or public relations. Rather, prospects are interested in solving their Business Issues. Smart agencies bond with prospects around their problem – their business issue – not the agency solution. Yes, this series can be a bit of schadenfreude if you think you are not making these blunders. But, are you? This entry was posted in New Business, Pitching and tagged ad agency, new business, Pitching, presentation. Bookmark the permalink. Trackbacks are closed, but you can post a comment. Great stuff peter, thanks. Still love your old office!